When does Transition Planning Happen? The Individuals with Disabilities Education Act (IDEA) is the law that says states must give a free appropriate public education (FAPE) to children with disabilities ages 3 through 21. Iowa law gives a free appropriate public education to children with disabilities birth through 21. Free Appropriate Public Education (FAPE): FAPE means that schools have to make sure all children have what they need to learn and progress at school. It also means families can’t be charged money for services at school. Assistive Technology (AT): AT is any item a child needs to keep up or do better in school. AT can be low-tech, such as an adding machine. It can be a high-tech item, such as a computer. AT services help a child to choose, get or use the AT item. Least Restrictive Environment: This means children with disabilities must be taught together with children who don’t have disabilities as much as they can be. Area Education Agency (s) AEAs: These are programs in Iowa that provide a wide range of help for students, teachers and schools. as part of a special education program. If children need AT to reach their goals in school, the families should not have to pay for it. Different parts of IDEA apply to children at different ages. Schools must provide AT services that are part of IDEA. Most schools work with an Area Educational Agency (AEA) for AT services. The school or the AEA staff can test students to figure out their AT needs. They can do AT training for students and school staff. Teachers, school principals and staff at the AEAs can all help families seeking services under IDEA. The law about services for children under age three is called “Part C” of IDEA. In Iowa, this program is called Early ACCESS. Every child who gets Early ACCESS services has a person to help the family find and get services. This person is called the family service coordinator. Family members and the service coordinator are part of a team that writes the Individual Family Service Plan (IFSP) for the child. The IFSP lists all needed services. Assistive Technology (AT) is a service under IDEA Part C. A child in Early ACCESS should get services whether or not the family can pay. If you have questions about getting AT for a child through Early ACCESS, get in touch with Iowa Compass. The law about services for children ages 3 through 21 is called “Part B” of IDEA. Any child in a special education program must have an Individualized Education Program (IEP). Assistive Technology (AT) needs must be part of every child’s IEP. Each child with an IEP should have an IEP team. 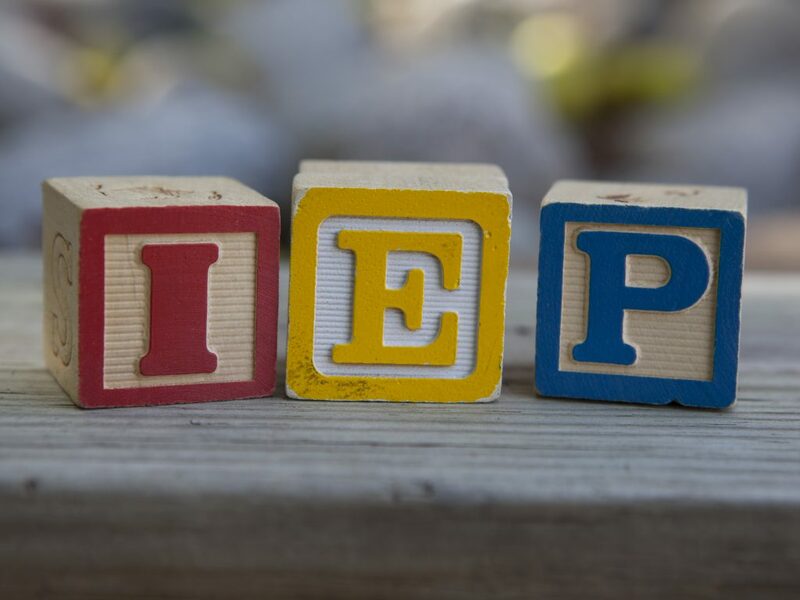 The people on the IEP team required by law are: parents, special education teacher, general education teacher, and an administrator such as a superintendent or principal who can make decisions about resources. Others who have related information about the student may also be part of the team. Get in touch with your school principal or the Family & Educator Partnership within your local AEA to learn about IEP meetings. They can tell you more about your right to ask for IEP meetings. Your child may need many kinds of AT to reach the goals in the IEP. These can be, but are not limited to: aids to help your child walk and move around, aids to help your child communicate, computers, computer adaptations and recreation aids. Funding for AT services and aids may come through Medicaid, private insurance or other resources. There should be no cost to the family. If you have questions about funding AT through an IEP, get in touch with Iowa Compass. Students in this age group get transition services as part of their IEP. Transition planning prepares students for life after high school. It can include plans for school after high school, job training, getting a job, living on their own, and/or life in the community. What services beyond classroom studies will be provided? What classes will be taken in high school? Will the student have classes that teach job skills? Will the student be in advanced placement classes? They should be a central player on the transition team. The plan must be based on the student’s needs and must include what the student wants. Parents and guardians are involved in transition planning. Teachers and school staff must tell the student and the parents that transition planning will occur. Staff from agencies that will provide the adult services to a student need to help with the transition plan. A student will be driving to technical college classes and needs hand controls for a car. The transition plan could include a driver’s education course using hand controls. A student with a learning disability needs better reading skills to get ready for college classes. This student could get training on voice-output reading software to get ready. A student with cerebral palsy will be moving into a group home after high school. They need to learn about daily living and personal care. The training on devices for eating, cooking, bathing and household chores would be a part of the transition plan. The transition plan should also include any AT the student is already using that they will need after high school. If you have questions about funding AT in a transition plan in an IEP, get in touch with Iowa Compass.